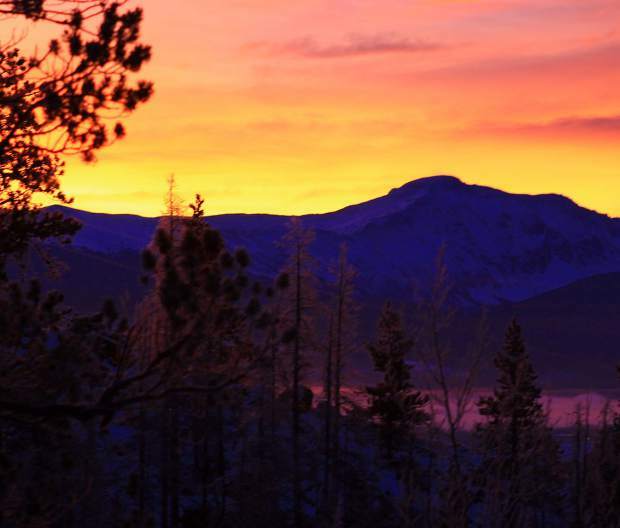 When you get out and #exploregrand you get to see things like this incredible sunrise over Grand County from this week, along with some hoar frost creeping through the valley. Grand County was one of several regional award winners recognized by Colorado Parks and Wildlife during its annual Partners in the Outdoors conference earlier this month in Breckenridge. Over 500 participants representing more than 250 organizations around the state attended this year’s three-day event to explore how efforts to invest in outdoor recreation and conservation helps to support a viable economy, healthy population and the future of our collective outdoor heritage. The conference also provides an opportunity for those in the outdoor and natural resource management industry to network and collaborate on projects. Each year, Colorado Parks and Wildlife recognizes a number of organizations for their significant efforts in conservation, stewardship, outdoor education and research. Award winners are nominated by parks and wildlife staff, and are selected by parks and wildlife regional leadership. Grand County was named the 2017 Northwest Region Partner of the year, Boulder County Parks & Open Space and the Boulder County Commissioners won Northeast Partner of the Year, the Kiowa County Board of Commissioners won in the southeast, and the Southern Ute Indian Tribe in the southwest. The Bird Conservancy of the Rockies was awarded 2017 Statewide Partner of the Year, and The Colorado Outdoor Partnership won Statewide Collaboration of the Year.